Platinum Ruthenium (PtRu) based Gas Diffusion Electrodes (GDE) are the most popular choice for use in Direct Methanol Fuel Cells (DMFC). The PtRu catalyst is designed to facilitate the Methanol reaction to create an efficient DMFC. The 2.0mg/cm² Platinum Ruthenium on Carbon Cloth is the most popular Gas Diffusion Electrode (GDE.. 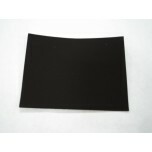 The 2.0mg/cm² Platinum Ruthenium on Carbon Paper is the most popular Gas Diffusion Electrode (GDE.. The 4.0mg/cm² Platinum Ruthenium on Carbon Cloth is the most popular Gas Diffusion Electrode (GDE.. 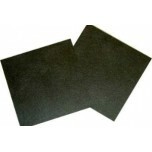 The 4.0mg/cm² Platinum Ruthenium on Carbon Paper is the most popular Gas Diffusion Electrode (GDE..
We offer custom Gas Diffusion Electrodes (GDEs) with high performance fuel cell catalysts and gas..